Databases house a higher percentage of confidential data than any other type of data repository. Database security depends upon too many manual processes. 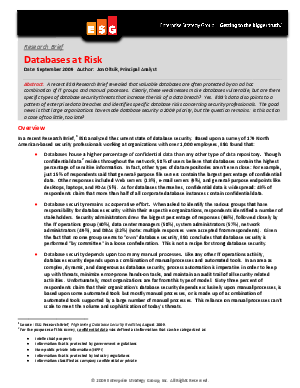 Enterprise-class organizations aren’t diligent enough about database security.